*Free, but donations are appreciated. 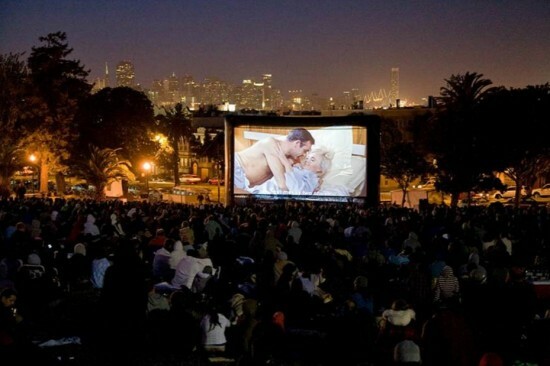 The San Francisco Neighborhood Theater Foundation (SFNTF) produces the popular Film Night in the Park outdoor film series. The 2018 season includes two films in Dolores Park, one in Union Square and one in Washington Square Park. Films are free of charge in beautiful park settings and projected on a giant outdoor screen. Arrive early, spread out a blanket, and picnic prior to the screening, but avoid bringing chairs. The San Francisco Neighborhood Theater Foundation (SFNTF) is a 501 (c)(3) not-for-profit organization dedicated to preserving historic movie theatres. We believe that historic theatres contribute to the unique character of neighborhoods and enhance the quality of life of city residents.